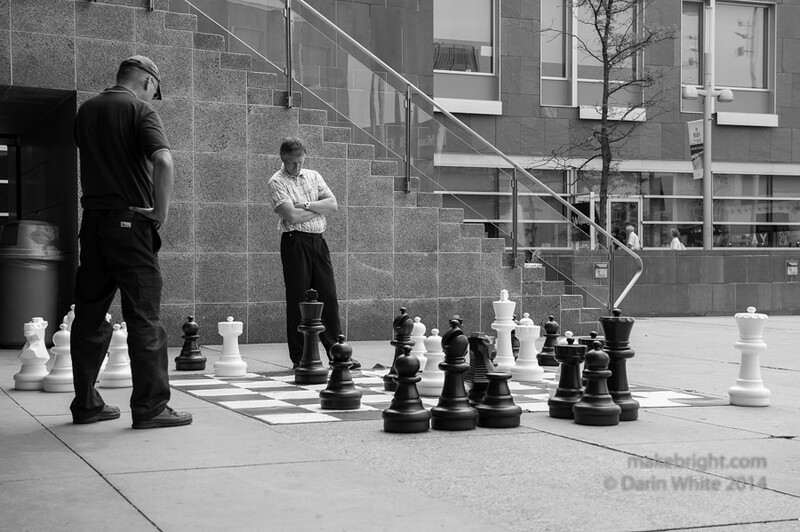 Found this endgame in progress out front of Kitchener City Hall a couple of weeks back. There was such a great triangle structure in this composition that I had to shoot it. The distortion of scale with the serendipitous grid in the background made me smile. My son Calder taught me chess and in our case he is the giant. This entry was posted in photography and tagged 1shot, games, Kitchener. Bookmark the permalink.